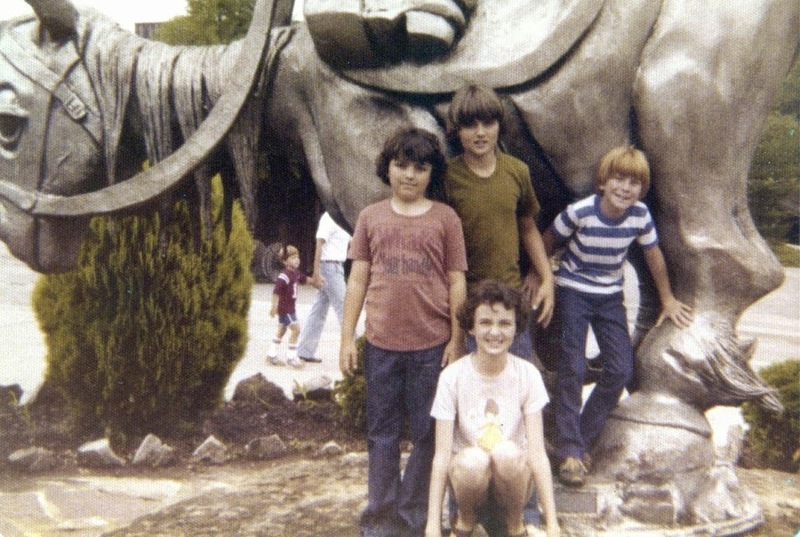 In the summer of 1978, my family was living in City View trailer park, a place of infamy I’ve previously written about. Many residents were notorious about not maintaining their lawns. I’d go so far as to say that the word ‘lawn’ would almost be the last word a rational person would use to describe the lots assigned to each tenant. Some, however, took pride in their lots, which confused me when I was younger. In a bizarre twist, my dad usually made my brother and I trim the grass around the bottom of the metal skirt under our trailer with a butcher knife. I know – what could go wrong? Residents would pile an amazing array of objects next to, under, and at each end of their trailers, often partially hiding the end with the heavy metal hitch on it. This tendency caused at least ten million banged shins and legs, especially playing tag, catch, or football in the yards. During the time we lived at the trailer park, I found a loaded pistol, pornographic magazines, whiskey, potato chips, and other things under the skirting of trailers. Many of the kids living in the trailer park spent their entire day roaming the park without shoes. I was one of those barefoot savages. My feet were as hard as tire tread. One of the endless days at the beginning of summer, I jumped down from the back door of my trailer, as steps were an invitation for someone to try to get inside. Even the front steps of most trailers were cheaply made using narrow wood planks and thin metal supports. Most trailers had terrible front steps and none at all in the back, often with both comical and horrendous consequences due to the number of people who attempt a hasty exit or entrance while under the influence of one substance or another. A smart kid knew exactly how to jump from the back door and simultaneously fling it closed again as he or she leaped out. Note: not while a parent was inside. As we all learned, slamming a door was treated by parents as seriously as murdering someone in broad daylight. My friend Troy had told me to come over and find him. I hit the ground running and by the time I made it to the spot a few trailers away, Troy and the other miscreants took off running from me. I darted around the end of one of the trailers. The grass was at least waist high against the trailer. Because I was attempting to set a land-speed record and catch up, I ignored the danger of the grass. I jumped in the grass as I ran. My right foot landed on something hard and I felt the immediate agony of something cutting into my foot. In my childhood, I stepped on a few dozen nails, broken bottles, as well as an assortment of other things. It went in deeply. Despite my speed, I fell into the grass. I had landed on a long, old-style rusty bed rail. The upturned corner had pierced all the way into the arch of my right foot. I was surprised that it had not passed all the way through my foot and out the top. I could barely see my foot, so I crawled out of the grass and sat on the ground, looking at the expansive and deep cut in my foot. For a few moments, it didn’t bleed. As I released my foot, the blood spurts and an intense cramp started. I survived my second head trauma a few years before, one which resulted in massive blood loss and almost 200 stitches. This didn’t seem as bad until the cramps started. As the blood pulsed out of my foot, I realized I had to get back to the trailer, so I crawled as fast as I could despite the cramps in my foot. I do remember that by the time I got out of the trailer, the cheap linoleum looked like a crime scene photo and the rags I had used to try to stop the bleeding were drenched. Dad came home over an hour later, angry and blustering. He screamed at me to get in the bed of the pickup truck as he got behind the wheel. I managed to climb up, then over the tailgate. My foot registered every bump and pothole in the road between our trailer and the medical clinic over on Quandt Avenue and Young Street. Dad’s dog Duke kept me company during the trip. I don’t remember who the doctor was who helped me but he was a rapid-fire, no-nonsense doctor. He used a large bottle with a nozzle on it to spray inside the deep cut even as a nurse used her gloved fingers to hold the wound open as far as she could. For good measure, he doused it with a huge quantity of some type of disinfectant, which set off another round of foot cramps. Dad was not in the room with me, which was a huge relief to me. He’s the type who would probably slap a surgical patient for sleeping during the procedure. The nurse went out to find him and dad returned and stood in the doorway. I’m paraphrasing, but the doctor asked him if he wanted some other kind of treatment. Dad told him no and that the doctor should do whatever took the least amount of time. I’m certain that they were discussing cutting my foot off, given my dad’s mean streak. I figured out later that stitching it quickly might cause some long-term cramping or other risks. Dad went back out to smoke. The doctor seemed to put an inordinate number of stitches in my foot. Despite the shots to numb my foot, I could feel most of them. He did tell me that the bed rail had almost pierced all the way through my foot. He dressed it and listed off a list of important notes that I couldn’t possibly remember. I didn’t have anything to cover my foot, so the doctor put a plastic bag over it and told me to stay off it for a couple of days and to avoid getting it dirty. Because dad wouldn’t come back in the room, I didn’t get crutches. Fair or not, a doctor in Springdale at that time wouldn’t have been surprised by a callous father. I think it was almost normal for medical staff to witness parents treat their children like cattle. My Dad also, of course, didn’t offer to help me as I tried to hobble out to the truck and once again climb in the back of the truck. When we got to the trailer, dad didn’t get out. I climbed over and managed to get out without screaming. I knew a beating was coming and simply didn’t want it to happen right then. We got the blood cleaned off the trailer floor, not that it mattered. Mom and dad routinely added one another’s blood to the floor at regular intervals. To add insult to injury, I got a celebratory beating from both my mom and dad later that day, for a confusing mixture of carelessness and the sheer inconvenience of being bothersome. They both waited until they had consumed enough liquid courage to justify a beating. It’s some consolation that their anger toward me for getting injured at least stopped them from beating each other, at least on that night. My foot secreted a constant ooze of clear fluid tinged with blood, especially after I walked on it. Mom, with her degree in folk medicine, ignored what I told her the doctor said and forced me to sit in a scalding bathtub of baking soda with my foot submerged in the liquid. She then poured undiluted alcohol on my wound until I almost passed out. She also insisted that I not cover the wound, so that it could breathe. Given that she made me literally eat Vick’s vapor rub, I didn’t have much faith in her medical advice. I also couldn’t figure out her idea that a beating might be medically advantageous for me, either. A couple of days later, my Aunt Ardith convinced my mom to go to the clinic and to find out what was supposed to be done. Mom only went to the clinic to ask out of fear Aunt Ardith could say “I told you so” after they amputated my leg for gangrene. Mom came back with bandages, gauze, and some ointment. Aunt Ardith asked her about the crutches after reading a few of the notes the nurse gave my mom. “He ain’t got no G-D broken leg!” she shouted. Aunt Ardith rolled her eyes. By then, I was walking around without anything covering my foot. I had popped two of the outer stitches after a cramp hit me and I tried to stand up. I think my foot was a little infected by then. Aunt Ardith prepared a foot bath for me as Mom sat and drank a beer. My aunt showed me how to prepare the foot bath and told me to keep the bandage on it and to avoid putting pressure on my foot. No more mention was made of the crutches. I am certain that Aunt Ardith is the only reason I didn’t get a massive infection in my foot. The next weekend, my cousin Jimmy wanted desperately to go see the movie “Thank God It’s Friday,” a 70s disco comedy, if such a thing is possible. It was showing at the Springdale Malco Twin theatre, on Highway 68 near Harps grocery. As I’ve written before, Jimmy almost always got his way, which worked out in my favor. All of the movies I got to see as a kid were the result of Jimmy, Mike Hignite, or another cousin. Literally, all of them. Aunt Ardith drove us to the theater while Mom sat in the passenger seat drinking her salted beer and smoking. They dropped us off and drove away. At the window, Jimmy got a laugh out of a woman who refused to say “God” in the title of the movie. “I need four tickets to ‘Thank Goodness It’s Friday'” she said several times. Jimmy was tickled that she couldn’t say “God,” but somehow thought that the movie would be appropriate to watch instead. Like many of our memories, I have no reason that adequately explains why I can remember that tidbit, but not other more important details in my life. We bought two tickets and as I turned to go inside, one of the very young workers at the theater told me I had to put shoes on both feet to see the movie. I couldn’t have put on a shoe if I tried, especially with the thick gauze Aunt Ardith had put on my foot before leaving the house. I wasn’t wearing a sock and we’d never imagine such a thing as a medical boot or shoe. The manager came over, looked at my foot and said, “Get out,” as if I had planned to run inside the auditorium like an angry linebacker. We also didn’t get a refund. My cousin Jimmy was furious. We went back outside and sat on the curb outside the theater. A few minutes later, someone came from inside the theater and told us we couldn’t sit outside and had to leave. I hobbled with Jimmy down to a payphone. No one answered at his house. As is the case with most of us and the phone numbers of our youth, I’ll never forget their phone number: 751-1551. Unlike my mom and dad, my aunt and uncle lived in the same house for almost their entire adult life, with the same phone number. We wisely decided that our moms went to the liquor store for replenishments. So, we waited. After an hour, they drove up next to the building and we got in. Aunt Ardith parked the car haphazardly behind some of the other cars and walked up to the ticket window, her Tareyton cigarette still in her hand. I’m not sure what she said, but the manager came back over and immediately regretted it. Mom sat in the passenger seat, shouting obscene and encouraging words of agreement toward Aunt Ardith. The ticket clerk handed Aunt Ardith the money Jimmy paid for the tickets. She was cussing when she got back to the car. Mom threw her Budweiser can into the parking lot and opened another from a paper bag at her feet. She had probably become concerned that she might run out of beer during the very short drive from my cousin Jimmy’s house. Evidently, my aunt had also demanded an apology from them for forcing us to get up and leave the relative safety of the front of the theater after being turned away for not wearing two shoes. I wondered what the manager would think if he knew that both Aunt Ardith and my mom were drunk. I think the shadowy canopy near the payphone to which we had been banished was far safer than the interior of the car being controlled by two drunk women. This sort of observation would have led to a beating for me. It didn’t occur to me until much later that normal parents would have known not to send a child to the theater without shoes, even if they had a medical reason. I didn’t see the movie “Thank God It’s Friday” for another 25 years. Compared to a massive cut in the foot, it’s not so bad. I ended up taking out my own stitches, in the stupid hope of avoiding another beating for the necessary return trip to the doctor. In the years afterward, I would sometimes have the strangest phantom cramps in my foot where the scar is. The scar diminished in size but would occasionally flare up when I least expected it. Once, I was foolishly ‘jogging’ with Mike Hignite and it stiffened, causing me to fling myself headfirst into the waiting mud. I ran a lot when I was young and it was invariably on my mind to be careful of my foot catching me off guard. Sometimes, it would cramp while I was driving with my foot on the gas pedal. If I run my finger along the scar on the bottom of my right foot, I can almost imagine that summer day again. Thank God it’s not Friday, I say. P.S. The picture is of Jimmy and me at Dogpatch. The bottom inset picture is another one from the same day. The simplest truths are the ones most often wrapped in amber. Distant memories, familiar, and unreachable. I originally posted this in 2014. Enough time has passed since Jimmy died for me to remember the goofiness more than the anguish of cancer that he endured. It’s natural that death works that way, as he was alive and kicking for much longer than he was suffering. There are still those days when I catch myself wondering what Jimmy might make of something or I half-expect him to drive up to the house after getting more stuff for his hoard from a local garage sale. Fair or not, a lot of Jimmy’s energy was siphoned away by his one family member’s obsession with money and getting what she thought was hers. It was a travesty and I learned a lot from it, whether I wanted to or not. It angered Jimmy that he was being punished with cancer. Had he survived and not relapsed, I think he might have begun to feel pity for his family member again, as she was at the whim of her own addictions and demons – and he could see it. The above picture is one which my cousin Jimmy insisted I take of him. It was immediately after his first cancer surgery. We were at his mom’s house. (My Aunt Ardith.) As you can see, Jimmy was still smiling and laughing. His mom wasn’t too thrilled with our brand of humor. Our custom was to make the most outrageous, tasteless and macabre statements that we could imagine. Between the two of us, we used to come up with some epic craziness. Aunt Ardith would sit in her perch on the couch next to the sliding glass doors, drinking her whiskey and coke, smoking, and feigning surprise and mirth at some of our goofiness. We had the ability to literally say anything to each other or about each other, directly, without fear of anger. Jimmy was very confident that he was going to beat cancer. When this picture was taken, I was very hopeful. Realistically hopeful, I thought. Jimmy joked that this picture would make an ideal Christmas card. His mom specifically told me that I had better not make cards with the picture on it. (My reputation for doing that sort of thing was quite well known…) Jimmy then chimed in that it would make an ideal “All I got was this lousy bout of cancer” t-shirt. It’s still funny, although with a slightly different twist to it now. The plan was going to be to post this picture on Facebook after-the-fact. Jimmy was interested in being able to talk to people about his experiences. As a well-liked employee of Budweiser, he knew a lot of people and would have a lot of opportunities to talk to people. Unfortunately, his cancer came back to take him down. This picture might as well have been taken in another century. It both seems like both yesterday and ten years ago simultaneously. His mom became ill and died a few short months before him after he relapsed. His mom’s house is sold to strangers and Jimmy’s life is fading in everyone’s collective consciousness.When Jimmy died, I had tried to get people to write anecdotes and stories to share with me. I had made a commitment to share them out in the world in such a way as to attempt to keep those memories alive. I did my best to disseminate his pictures to friends and family, sharing them on public drives and makings disks, printed copies and any other method I could think of. We all have our stories and moments to remember with Jimmy. Some of us have a strong collection of memories, many of which were times that weren’t fun while we were living them but are as much a part of his life as the “good” times. As time slides past us, our stories will slide into the fog with us. Whether it is wrong to say so or not, Jimmy’s death affected me in countless more ways than my own mother’s death did. I was with Jimmy for much of his final time and was with him when he finally had nothing left with which to fight. He weighed so little that it seemed only his soul remained in him. Not only were we contemporaries, but we shared a common bond of ridiculous attitude toward many of life’s idiocies. We were both forged in a family where laughter could be replaced by drunken rage without notice. 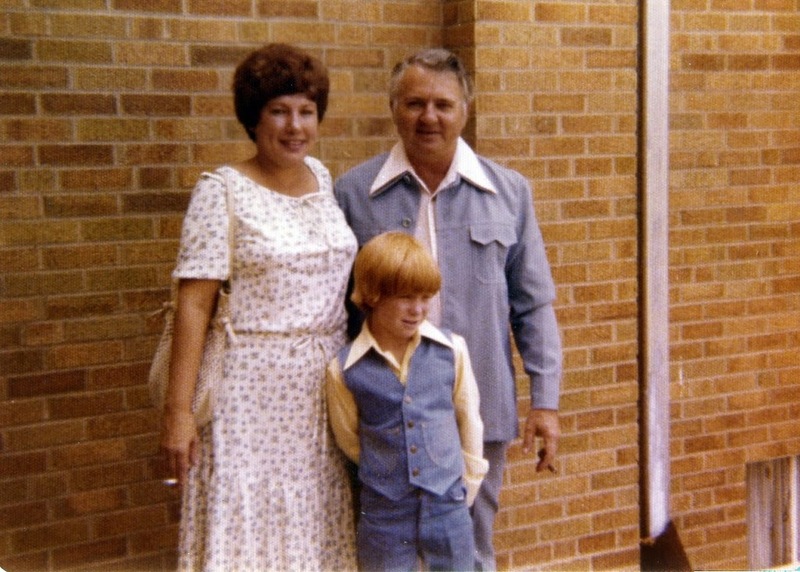 My youth was fuller thanks to Jimmy and his parents, even when the times weren’t so good. Jimmy’s life was one of potential. His younger years were full of missteps and mistakes. (Isn’t that true of all of us, though?) It would have been interesting to see what he would have made of his promotion at Budweiser, of his relationship with his girlfriend (and then wife) before his passing, or of his new appreciation for the scarcity of life. Had cancer not kicked him, I think he would have been one of those people who would have flourished with another lease on life. His laugh would have been a beacon to people and his youthful impatience would have dissipated. 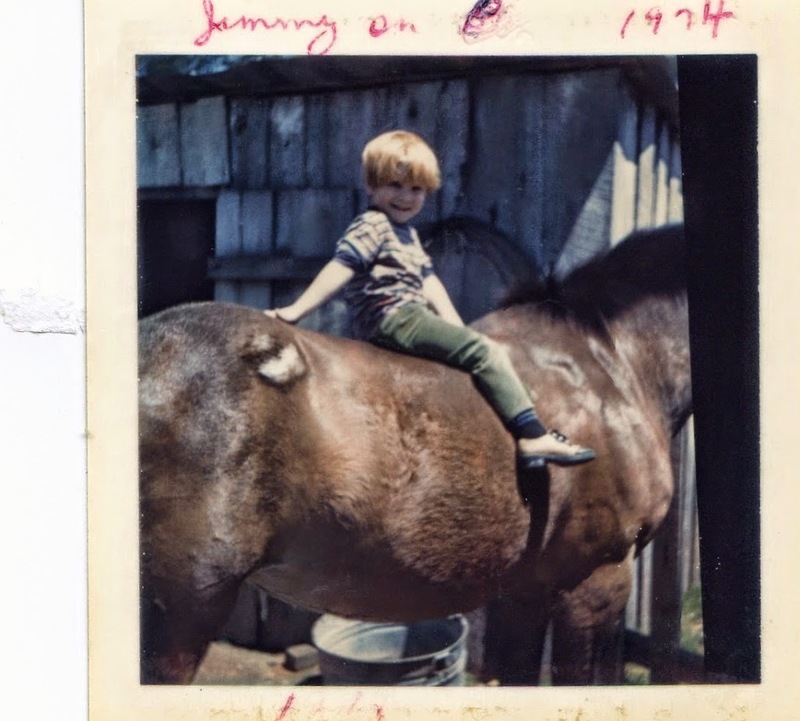 If you’re interested, you can find a few more stories about my cousin Jimmy on this blog by using the “Category” drop-down menu on the right-hand side of the main blog page. Here’s one: A Reminder… and An Unfinished Blog Post. As the sun beat down and the creek noisily flowed away from me, I glanced up to see the array of monuments to lost mortality on the bluff to my right. It’s deceptive how the trail sprints like a careless runner through the middle of things. I pictured Jimmy standing up there, waving, telling me to keep walking even if they sun cooked away my enthusiasm. That’s how time works sometimes, hurling the most pleasant of hallucinations upon us. This picture might as well have been taken in another century. It both seems like both yesterday and ten years ago simultaneously. His mom became ill and died a few short months before him, after he relapsed. His mom’s house is sold to strangers and Jimmy’s life is fading in everyone’s collective consciousness.When Jimmy died, I had tried to get people to write anecdotes and stories to share with me. I had made a commitment to share them out in the world in such a way as to attempt to keep those memories alive. I did my best to disseminate his pictures to friends and family, sharing them on public drives and makings disks, printed copies and any other method I could think of. We all have our stories and moments to remember with Jimmy. Some of us have a strong collection of memories, many of which were times that weren’t fun while we were living them but are as much a part of his life as the “good” times. As time slides past us, our stories will slide into the fog with us. One day toward the end of my cousin Jimmy’s cancer struggle, I stayed with Jimmy during the day. Jimmy’s girlfriend had to leave town for the day to suffer through her state licensing exam for either cosmology or cosmetology (just kidding), so I offered to wander around and spend the day with Jimmy. The day was broken into long periods where Jimmy would pace and smoke, followed by more smoking. I was accustomed to seeing him smoke but on that day, he smoked as if he had to get them all smoked, forever. He wanted me to run him to a convenience store and drive around. (While looking back at the dates, somehow I had forgotten completely that Jimmy insisted on driving over to the new house he was to move into with Alissa.) We stopped at EZ Mart before going over to check on the new house, chiefly to get Jimmy more cigarettes. We couldn’t go inside the house, but we walked around and traded terrible commentary about the house. Jimmy wondered if there was room in the backyard for “muffin-fetchin” dogs, a long-running joke we shared. After leaving the house, we went back to the same EZ Mart we had visited before seeing the house. I honestly can’t believe I forgot that part of this story as I wrote it. The mind is a strange thing! Coming back, the traffic around Joyce Street was unimaginably terrible. Jimmy had lit another cigarette as I drove, joking and carrying on. As I reached the intersection to turn right into the side road leading to Jimmy’s apartment, Jimmy fumbled the lit cigarette. Jimmy looked at me and said, “Dude, I think I am on fire!” He said it as if someone had just handed him a roll of $100 dollar bills and a fresh pizza, except he uttered it in quiet amazement. Since he was wearing baggy shorts, he couldn’t tell whether the cigarette was on him or had fallen to the carpeted floor. By the time I realized he had dropped the cigarette, there was already smoke in the air. Traffic was piled up front and behind. The look of surprise and bewilderment on Jimmy’s face both made me laugh and terrorized me simultaneously. “Hold on,” I hollered and hit the gas, going to the left hard. (Joyce Street, even on great days, is already akin to a Vehicular Roulette in that area.) Incredibly, some idiot behind me did the same, darting into oncoming traffic behind me. My goal had been to get turned onto the side road, slam on the brakes, then jump out to run around the car, fling open Jimmy’s door and find the cigarette before he burst into flames. The car behind me threw a wrench into my plan, making it very dangerous. I floored it for a second, then hit the brakes. The car behind me screeched to a halt as I started to get out of the car. He then swerved around me, giving me the one-finger salute as well as some interesting curse words to brighten my day. I had wanted to throw my door open but had to wait to see what the car behind was going to do. It was one thing to potentially let Jimmy catch fire, but on the other hand, I didn’t want my driver car door ripped off the hinges by an angry driver as he sped past. Smoke was coming from near the door. I couldn’t figure out if it was him smoldering or the carpet. Jimmy was under the influence of a lot of medication, so it was possible that he was, in fact, ablaze without really knowing it. I ran around the car, opening the door as if I were the Incredible Hulk and with enough force to have flung it to three miles into the air. It turned out the cigarette had smoldered on the carpet, burning it, producing smoke. I handed Jimmy the cigarette back an couldn’t help but start to laugh at him as he put the cigarette back in his mouth. And then he laughed and laughed and laughed. As I got back in the car, he said “I’m so sorry for catching your car on fire, X.” I laughed again and said “At least we’ve got a good story to tell.” (I say this a lot no matter how bad something is that happens.) Despite knowing how I am about stuff, he seemed to be genuinely alarmed about the carpet. At the time, he probably didn’t know how close we had been to having someone drive over the top of us while we were sitting in my Honda, trying to get out of the crazy Joyce Street traffic. “Promise me you won’t tell Alissa. She won’t think this is funny.” The way he said it made me laugh even harder. I think it would have been MUCH more complicated trying to explain to Alissa how I had gotten us killed than explaining a funny story about Jimmy torching my car. I reassured Jimmy that it was no big deal which led him to worry that maybe Dawn would be upset. I told Jimmy that she would only be upset if I drove the car home while it was on fire – and ran it inside the house. Over the next hour, Jimmy continued to be worried about the car but as I told crazier and more outrageous jokes about it, even he started to realize it was a great story. I wrote this blog post quite a while ago. It looks nothing like it once did. Neither does my mind, for that matter. As tightly as I cling to the idea of how cancer punished Jimmy, as much as I want to remember the lesson of how fleeting our chances can be, I still find myself incredulously shaking my head at disbelief at how life doles out its reward and pains. This blog post was longer by a factor of 5, if you can believe it. I’m tired of seeing it in my draft file, challenging me, reminding me that I’m not supposed to be a perfectionist or concern myself so much with presentation. Jimmy would tell me to “fire that thing off” and light up a cigarette, laughing at me. I deleted about ten minutes of reading; I regret doing it now, but like life, it serves no purpose to focus exclusively on what we lost. I can hit “save” on this blog post and get up to have a cup of coffee. It would be a joy to be able to go have a cup with Jimmy, watching him pace the concrete outside, smoking, chatting, and wondering out loud what might happen next week. A couple of years ago, I Jimmy was dying of cancer. His journey with the disease was like so many other people’s. He initially was defiant, suffered through the uncertainty and treatments, remission, followed by the punch of a relapse and of the reality of it coming back to get him. I wish he had followed through on his initial plan to write about his experiences, even if all he used was Facebook. Those words would be comforting to me now, even if writing carelessly or negligently. They would be his words, allowing me to hear his voice in my head, walking me through his choices in life. He told me differing reasons as to why he stopped doing it after just a couple of entries. Fear and fatigue were definitely factors in his reluctance to share. When his cancer recurred, I think he knew he might have to admit defeat; defeat as he saw it, anyway. Jimmy didn’t want to write a story of defeat, even if no one else would have read his story in that light. Someone once said that life is inevitable defeat but the game can still be enjoyed. 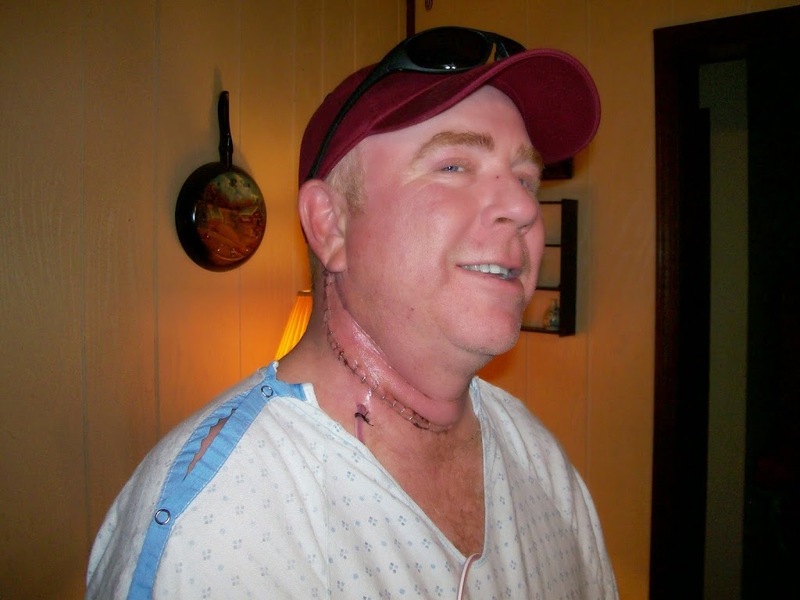 When Jimmy’s cancer came back, he went through intense denial about the likelihood of dying. I don’t blame him. Jimmy’s faith was supposed to insulate him from further abuse from the disease. In many ways, the cancer returning stunned Jimmy, as he had worked out promises to god in his head about using his new opportunity in life and take advantage of it, more so than he had done before when he had lost focus on the frailty of our lives. I do believe that his intention was to figure out a way to parcel out his experience with cancer and share it in the best way he could – had he survived. Jimmy was also especially at odds with the idea that smoking, dipping or drinking could have had any effect on his cancer’s development. He continued to smoke during his remission and when the cancer came back to attack him. Jimmy loved to smoke. It defined the personal moments in his life, shaped his day into increments of being alive. It is a habit he learned from his mother, a million cigarettes into her lifetime. To be clear, I don’t fault Jimmy for continuing to smoke after his diagnosis. It would be easy for me to jump on it and preach about it – but smoking isn’t something that is easily set aside. When you are facing your demise, anything that can ease the pain of dealing with it is twice as hard to kick off one’s back. Each of us gets to decide how we would handle the slow death spiral that comes with cancer. No matter what I would write about it now, the truth is that I can’t say definitively what I might actually say or do if I were in his shoes. I know that if smoking is what kept Jimmy saner while dealing with cancer, I will not judge.I always knew that when his urge to smoke waned, he was ready to let life slip past him. We couldn’t get my cousin to make choices about the rest of his life, as he was so focused on his self-affirmation of survival. Trying to get him directed toward further treatment or hospice was an admission of defeat for him. His stubbornness interfered with the quality of his life in the last few months. He was lucky to have his girlfriend during this – and my cousin misbehaved enough that it was a constant surprise that he kept her around. Jimmy had the infamous Terry attitude and the anger that gave him rein to lash out when he didn’t feel well. The medication he was on liberated his temptation toward anger. For a time, he did his best to drive away his girlfriend. But she stuck with him through it all. Jimmy threw her off her orbit sometimes, but she was still circling, connected to him. Despite Jimmy’s issues before with his girlfriend, I kept reminding him of the urgency of being alive and respecting those who had been steadfast in their support and helping him. When I went over after work to see Jimmy and discuss hospice and options with him, he knew that I was there to be honest with him. One thing Jimmy could always expect from me was honesty, even if it was the type of truth that made him say “Ouch!” and even when I thought he was being dumb. Jimmy had been missing the doctor’s guidance toward hospice and focus on quality of life for as long as he might continue to survive, and insisted that the decision to discontinue all his chemo and radiation treatments again was a positive sign and that he was going to live through it. After considerable setbacks with another round of chemo and a few hospitalizations, Jimmy’s doctor ended treatments and prescribed hospice, with the expectation that Jimmy follow-up accordingly. When we left the treatment center, Jimmy was already talking about how good of a sign it was that his treatment was ending – that it meant that he was going to get better. It was a terrible moment, one with fangs at my throat. Even for me, it was a minute of two of suffocating desire to run away from it.I aged a year or two in those moments; my normal confidence had fled and I couldn’t imagine being in his shoes. Finding the words to get Jimmy to listen to me was one of the toughest things I’ve ever had to do. I made an impassioned and heart-felt attempt to get through to Jimmy to take the first step toward accepting hospice treatment and shifting his focus toward making decisions while he still could. Jimmy had already witnessed and suffered the effects of his mom recently becoming ill and dying fairly quickly. She died without much of her wishes, medical or material, known – this in turn, caused Jimmy a LOT of horrible issues with some family, all of which could have been sidestepped with minimal preparation. I never could get Jimmy’s mom to follow through with a living will, a regular will, or any of the other necessary decisions and planning. She was a very smart woman but for whatever reason, didn’t follow through, leaving Jimmy to suffer the consequences with another family member whose motivations were less-than-reputable, in my opinion. 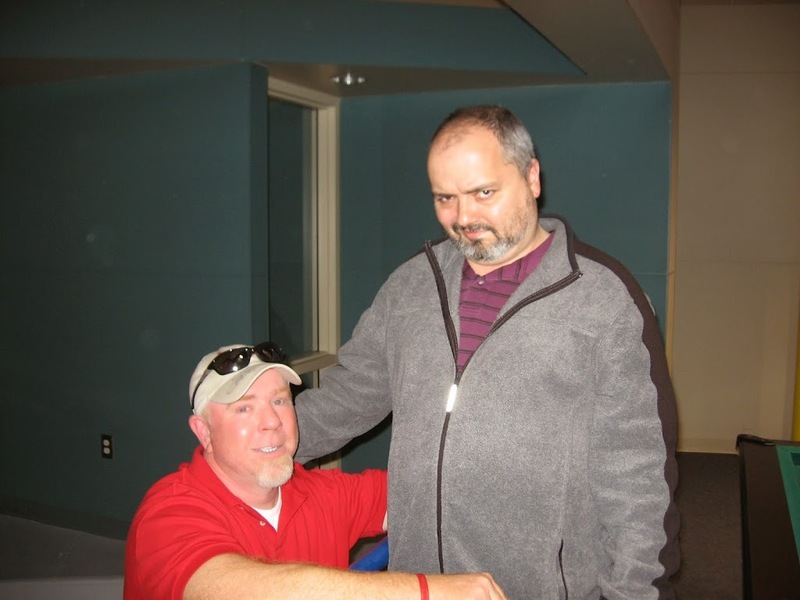 Jimmy felt that admitting he needed hospice was the first step toward acceptance of his death. Jimmy had all the hospice information there at the apartment with him. I walked him through what had happened, what his doctors had been trying to tell him, as well as all his options, where he could live and how he could continue to expect his family and friends to help him. The pastor came over to get my cousin to listen to the necessity of making plans for how to spend the rest of his life in comfort, as well as making all the decisions to take care of his girlfriend and son, as well as all his things, before leaving us. When the pastor arrived, instead of talking to Jimmy as both a comforter and counselor to help him make plans, he used the opportunity to pray with Jimmy, insisting to God that his cancer would be taken from him and to focus only on surviving the disease. No mention was made of hospice, what course of treatments were left, or any discussion of the decisions Jimmy should focus on. The literature regarding hospice was ignored and after the pastor left, no further mention was really made of it. I had hoped, too, that the pastor could make a personal connection with Jimmy about not letting his disease continue to anger him and affect his bond with his girlfriend and her two children. I was very frustrated that the pastor missed his chance to address all the other needs and things Jimmy needed to hear. His method was full of vocal holy spirit and not focused on counseling. I don’t understand it. Maybe I’m not supposed to. Until right up before Jimmy died, he would look at me and say “I’m not dead yet,” or more likely, “I ain’t dead yet.” The last few times he was half-joking, just to get a rise out of me. He even asked me the day he got married. When Alissa, Jimmy and Alissa’s dad and step-mom dropped by the house one afternoon, as tired as Jimmy was, he looked me dead in the eyes and said “I ain’t dead yet” and came into the house. About a week before Jimmy died, I was certain that he was going to be gone that Saturday. He stopped breathing for what seemed like a minute, his skin grew discolored and his condition could not have been worse. When oxygen arrived, he showed vast improvement. Alissa had to make the decision to give him oxygen or not. Had she not, Jimmy would have left us that Saturday afternoon. It would have been a good day to die. The next day, he was outside, smoking, talking about how close to death he had been. It was his Indian Summer, one that afforded him mental acuity and the ability to laugh at the absurdity of it all. “That’s the way to go,” he said. But he wanted to smoke when he work up that next day – a sure sign that he wasn’t ready to dive into death just yet. He had the twinkle in his eye that day. Someone very close to Jimmy joked that maybe he should have been smoking during his viewing. No disrespect was meant by the comment and it has a harsh truth to it. When I mentioned his mom having smoked over a million cigarettes before her death, it was no exaggeration. Even at 3 packs a day, 365 days a year, over 50 years, it surpasses a million cigarettes. He died on a March Monday afternoon, in his relatively new home, married, and had not survived long enough to see his son Noah graduate, and without the chance to use the knowledge that cancer had cruelly given him: that all these plans we make, things we hold in esteem are nothing without happiness, health, and people we enjoy in our lives. Jimmy died months ahead of my mom. For whatever reason, his absence has so far made a much bigger impact on my life than my mom’s passing. I don’t hide this fact or sugarcoat it. I feel like Jimmy could have done a few things so much differently had he lived a few more years. When the cancer came back he was certainly mad and resistant to the idea of dying. But I wonder what might have become of his new marriage and his better job at the Budweiser. It feels like he and might have had a much different appreciation of one another and been around to suffer and appreciate middle age together. Cancer is a scary infection, one which challenges everything you are hoping for and all too easily takes your optimism and burns it in front of you. I use Jimmy’s suffering to compare how I might react to the same challenges. I know I would not do well. 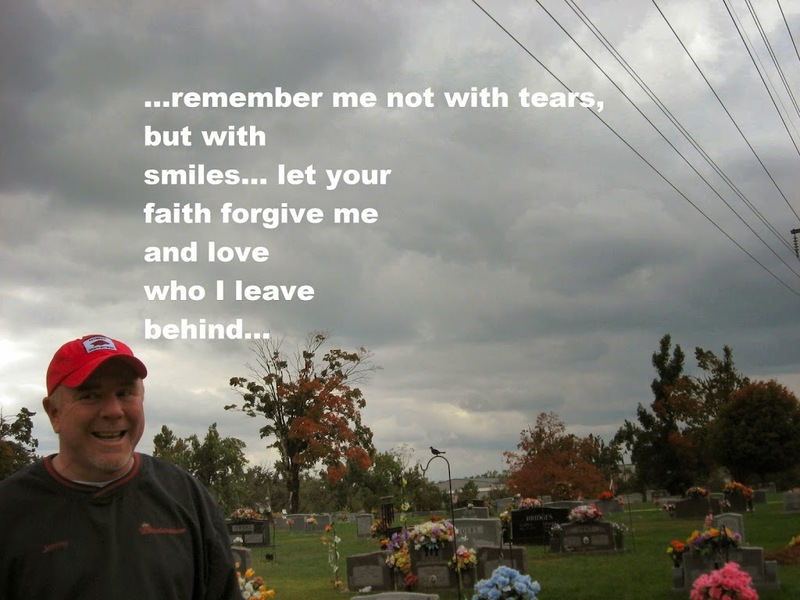 I work to remember the good and bad times with Jimmy before cancer defined him. His life was a long bookshelf, with cancer being but a blip on one end. It sometimes is so hard to look back and see past the long interlude when cancer start its dance. One of my previous hobbies involved taking pictures of the toilets (or a toilet) in a place I visited. (I didn’t take a picture if the place were filthy.) At the apex of my hobby, I had at least a 100 great toilet pictures. I’ll bet you’ve never read that sentence in your life before, have you? Say what you will about the foolishness of such an endeavor, it was certainly inexpensive to collect such “mementos” of the places I had visited. I would even take them back when all I had was a traditional film camera. Imagining what the people printing the pictures were thinking was no small part of the fun of the stupidity I enjoyed. Whether I sauntered into the Imax in Tulsa, Oklahoma, or Liberace’s private bathroom, I would take a snapshot of the toilet. Doing this rarely failed to give a me a burst of laughter. There were times someone might walk in during my shot. More than once, I had looks of outlandishly bewildered expressions thrown at me. On one occasion, I took a shot and the flash must have bewildered someone in an adjacent stall I thought to be empty. I heard a very quiet “What the f$%^” come out of the supposedly empty stall. Explaining what I was doing in these situations didn’t seem to sate the curiosity of those who walked in during these photography sessions! No, it usually inspired the inquisitive people to march away quickly, very quickly. A few years ago, I had visited Olive Garden in Fayetteville with my cousin Jimmy Terry. He wanted to “see me in action,” so to speak. He accompanied me to the bathroom and as I opened the stall door, he couldn’t control his laughter. “I can’t believe you do this all the time!” he giggled. I let him take the picture but his giggling resulted in all 3 of the pictures coming out looking like he had a seizure while trying to take the picture. More than once, Jimmy would later ask me if I took a picture of any toilets while I went to Vegas or to a new restaurant. He liked to joke that I should get a photography service started and do the photo shoots ONLY in bathrooms. He said it would be easier to clump everyone together if they were all crammed in a stall together – and that they would be more inclined to not waste time, especially if the stall were “between users,” so to speak. He added that since people were always running off to the bathroom, doing the shoot IN the bathroom would be thereby eliminated as an excuse, too. When going through old photo albums, you could have seen two dozen pictures of the Air Museum only to be thrown off guard halfway through by a full-color shot of one of the toilets residing there. Every once and a while, I would throw in a picture of one of the toilets in the dvd picture slideshows I loved making. (From my perspective, there was just as much recognition of my visit having seen the toilet as the front of the building housing it.) Including toilet pictures in a person’s slideshow is a quick method to determine how much of a sense of humor someone might have. Sometime not too long ago, I thought I was doing myself a favor by culling the toilet shots out of my photo collections. I think by doing so that I excised a portion of my wonderment and amusement toward the world. It would be a great pleasure to laugh at some of those pictures again and to test how many I could identify without any context.